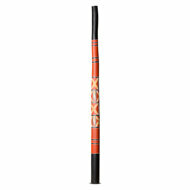 Yidaki is the Aboriginal word for didgeridoo in Eastern Arnhem Land in the Northern Territory of Australia. 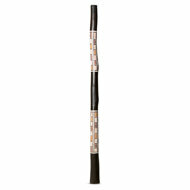 These days, the word Yidaki is applied to traditional didgeridoos that are made by Yolngu people that often have distinct differences, acoustically and structurally, that set them apart from standard didgeridoos. They are often decorated with natural earth pigments (ochres) that represent special clan designs and motifs. Natural mouthpieces are quite common along with the use of sugarbag wax from the native bee. 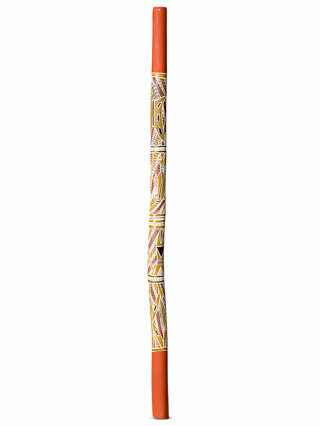 Yidakis represent the highest level of cultural integrity with respect to the didgeridoo - being made by the traditional owners and custodians of the instrument in an unbroken tradition that spans hundreds and perhaps thousands of years. They are meticulously hand picked for their artistic and sound qualities, field collected and properly documented with cultural integrity a priority. Many of these instruments have cultural significance and represent truly collectable pieces from some of best know traditional craftsmen. Each Yidaki will come with a maker biography or certificate of authenticity. "Just wanted to say thanks to Reno & Spirit Gallery for taking the time to help me get the best d..."
"I baught my didgeridoo yesterday and I'm happy. Very qualified and friendly staff. I got it well wra..."
"I just got my didgeridoo today. It took only four day from Australia to Colorado, USA! The instrumen..."
"Hello Reno, Many thanks for the cotton didgeridoo bag! Just an FYI that your impeccable customer..."
"Hello together, I got this wonderful didgeridoo last Thursday. It was delivered in perfect condition..."
"Great product. Very fast delivery as well. Never expected it to be as fast to get to Canada (Quebec)..."
"Package arrived safely yesterday. Boomerang is beautiful and in it's new display cabinet home. Than..."
"Hi Reno! Sooo stoked with the instrument! I am so happy! My didge game just stepped up big time!..." "Picked up the Didge today. Thanks for the incredibly fast shipping! Very impressive. Jeff"
"Its Wednesday 20th February two days after my Didgeridoo was dispatched it arrived at 9 am U K time ..."